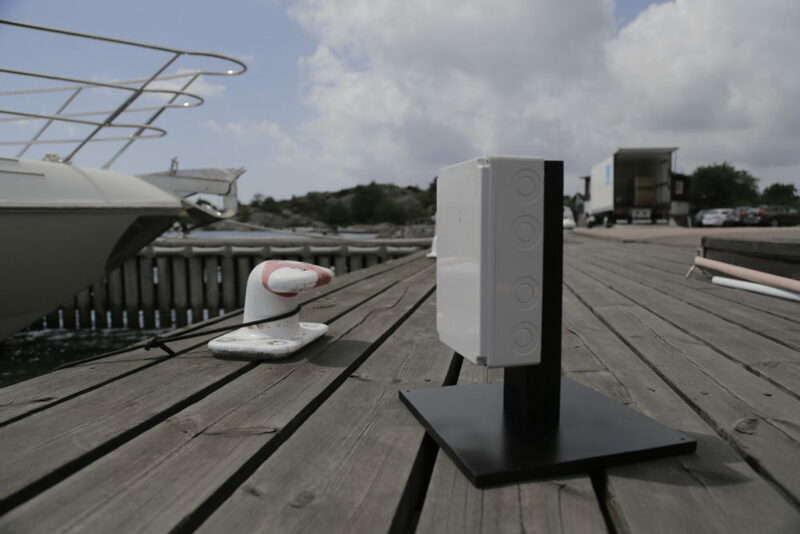 Aiming to tackle one of boating’s most stressful maneuvers – docking – The Swedish company has revealed an advanced Volvo Penta’s self-docking system, targeted for launch in 2020. 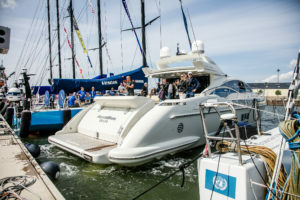 The Gothenburg, Sweden, stopover of the Volvo Ocean Race was the scene for the unveiling of what could be the most sought-after system in modern boating – Volvo Penta’s self-docking system. 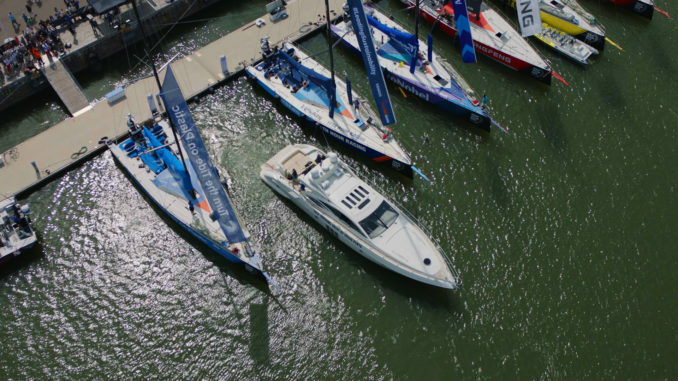 In a live demonstration, a 68 ft yacht fitted with the technology skillfully maneuvered itself into the tightest of spaces between two of the Volvo Ocean Race 65 racing yachts. The unveiling of the pioneering self-docking yacht technology is the latest in Volvo Penta’s ongoing ‘Easy Boating’ philosophy to make boating simple, enjoyable and accessible to more people. At its heart is the joystick-controlled Volvo Penta Inboard Performance System (IPS)*, a complete and integrated propulsion system – from the helm station, via the engine, all the way to the propellers. 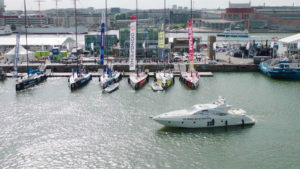 Narrow berths, changing wind and sea conditions and congested marinas will all soon be less of a challenge when docking. This is thanks to the responsiveness of the Volvo Penta IPS system, coupled with sensors and advanced navigation processing power. And, just as the system helps get the boat into the dock easily and safely, it can also enable it to securely take-off from the dock in an automated fashion. 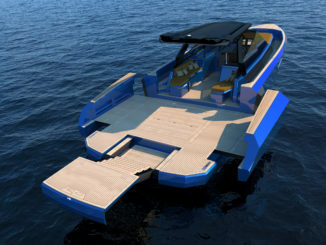 Prototypes of Volvo Penta’s self-docking technology are currently undergoing development trials. 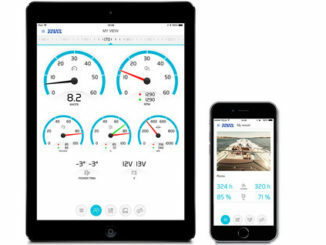 The automated docking capability comes due to the onboard electronic vessel control system (EVC), which computes steering and drive calculations in relation to the boat’s actual position and four sensors sited on the intended berth. How Volvo Penta’s self-docking system works ? Automating the docking process involves three distinct phases. Firstly, as the boat nears its berth, the system recognizes that it has entered a ‘catch zone’ and sends out a signal to the captain that it is ready to dock. Once the captain has activated the self-docking function, the boat is then (aided by GPS), automatically moved into a ‘docking ready’ position. Once the captain has initiated the final stage, the system uses a combination of GPS and sensors, both those fitted onboard and additional sensors fitted to the destination dock to automatically move the boat into a safe berth. Another attention-grabbing feature of the forthcoming system is that it will be available not only for the latest IPS equipped boats – a retrofit version of the function is also planned, something that would make an attractive upgrade to thousands of boat owners. The initial focus for Volvo Penta’s self-docking system will be individuals who can install the system on their own private docks. Longer term, it is believed that the technology will be of considerable interest to harbors and marinas, allowing IPS-equipped boats fitted with the system to dock in complete safety and accuracy. 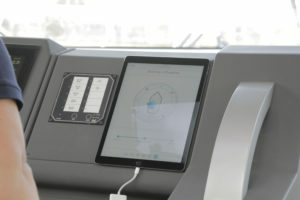 An additional future scenario for the self-docking system is that it could be integrated with Volvo Penta’s Easy Connect application (app). 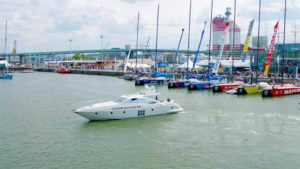 The app could allow users to check if the nearest marina is equipped with the appropriate self-docking technology – or even perhaps use it to secure a parking space. 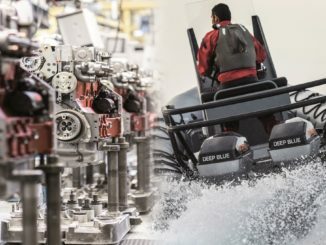 Safety is a primary factor in the ongoing development of the feature and, as with similar ‘self-parking’ technology in the automotive world, Volvo Penta’s docking system is not designed to be fully autonomous. While the system will also feature surround sensors that provide anti-collision alert and avoidance, the captain needs to remain at the helm during the docking process, ready to intervene if necessary.